OSRAM 73743 lightify smart connected lighting dimming switch. Light has never been so enriching, helpful, individual and networked. OSRAM lightify brings the future of lighting into your home or business today. Experience Intelligent, connected solutions that adapt at any time to your desires and lifestyle easily Via existing mobile Devices and a free, simple to use app. The OSRAM lightify lighting system begins with a wireless gateway that can be plugged into a standard wall outlet anywhere in your home or business, and wirelessly syncs with your existing Wi-Fi network. The gateway connects to lightify Devices (up to 50 per each gateway) Via standard ZigBee home automation protocols. Products include an A19, br30, and br 5/6 tunable white has an adjustable color temperature, meaning that it can be adjusted from a warm 2700 Kelvin color temperature up to a 6500 Kelvin cool white color level at any dimness level. Also available is an A19, br30, and rtx 5/6 rgbw LED lamp which can provide thousands of colors to match a scene or mood, and also has tunable white functionality from 1900-6500 Kelvin. In addition, there are flexible, color changing, indoor LED light strips and garden-spot LED lights for highlighting outdoor features with color. The gateway can also operate other smart lighting Devices from a variety of manufacturers that use standard ZigBee home automation protocols. 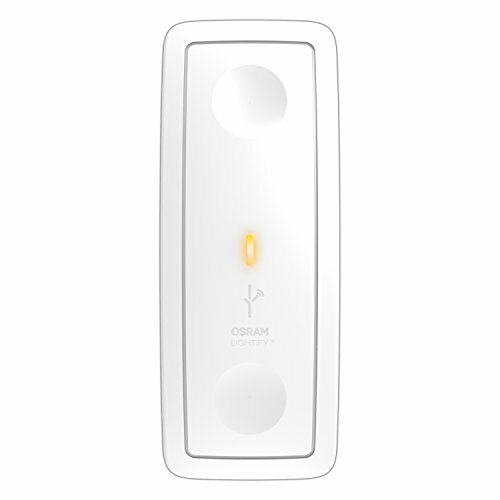 OSRAM will also be offers a ZigBee smart switches that provides on/off/DIM functions with the ability to control multiple scenes in the future.